Until recently, Vineet led the capital markets, fund management, finance, and treasury functions at IFMR Capital. In this role, Vineet took the core strategy and business plan of IFMR Capital to scale, developed strong relationships with capital markets investors, and built the fund management business from scratch. Vineet was instrumental in IFMR Capital raising USD 7.5 billion of debt for its clients, as well as taking its own balance sheet to INR 450 million. Prior to this, Vineet led key institutional relationships at Standard Chartered Bank, with exposure/deal experience across M&A, capital markets, and corporate finance. 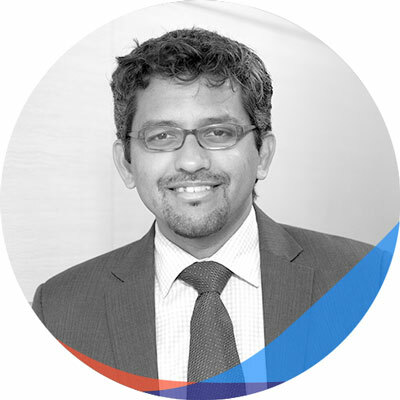 Vineet has also worked with Tata Administrative Services – a crack team within the Tata Group responsible for targeted strategic initiatives across group companies. Vineet has completed his master’s degree in business administration from IIM, Bangalore and bachelor’s degree in engineering from IIT, Kharagpur.